Homeless advocates want to turn Denver into San Francisco with a new ballot measure called “The Right to Survive” allowing tents and “camping” in city parks and the16th Street Mall. This doesn’t solve the problem of homelessness, it enables it. 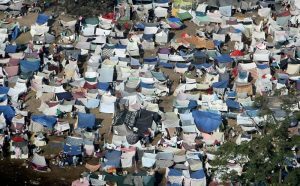 Memo to the liberals assigned to advocate for this issue: the Constitution does not guarantee the right to sleep in tents on public property. The National Park Service permits tents on their grounds, we suggest you go there for a camping experience, not the mall. Americans also don’t have the right to privacy of their belongings kept in public space, as Terese Howard insists to CBS4. “All people have the right to sleep, to sit, to lay down, to cover yourself, to share food, to sleep in a vehicle and to have privacy of your belongings in public space,” she said. Do we really need to explain why this is a bad idea? Even San Francisco doesn’t want to be San Francisco anymore. Voters there outlawed tents nearly two years ago. We never thought we’d say this, but just this once, Denver voters need to act like San Francisco and not permit our parks and shopping areas to become homeless camps.